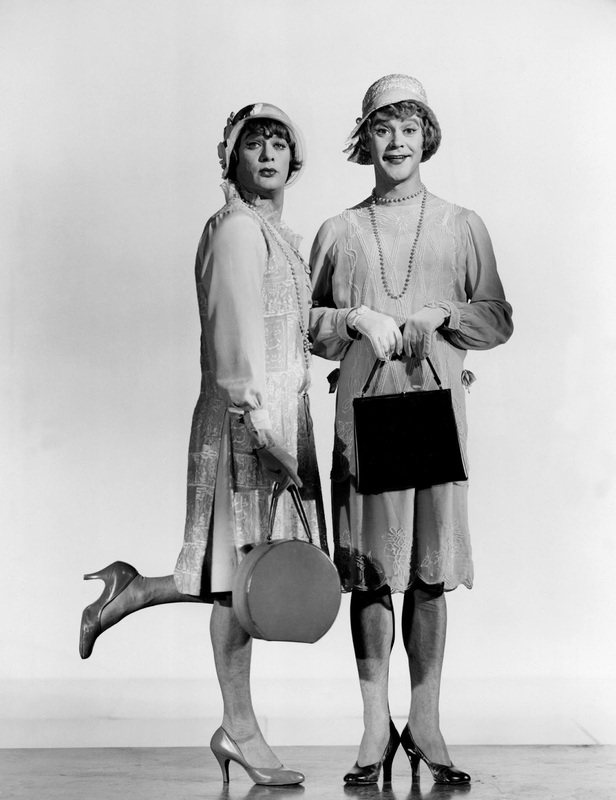 Some Like It Hot (1959), starring Tony Curtis and Jack Lemmon, is one of the classic movies airing on TCM this week. This week, TCM is airing great movies from stars like Tony Curtis, Patrick McGoohan, and Roy Scheider. Plus, they are featuring films from Broadway dramas and musicals. So, without further ado, let's jump right in to this week's offerings. Just a note: the highlighted text has links to full length articles. Birthday tributes: Tony Curtis on Friday. Sunday Prime Time: A night devoted to the Elizabeth Taylor-Richard Burton version of Cleopatra (1963). Silent Sunday Nights: The Red Mill (1925) at 12:30 a.m. This comedy directed by Roscoe "Fatty" Arbuckle stars Marion Davies as a Dutch lass who falls for a handsome foreigner (Owen Moore). TCM Imports: Ordet (1955) at 2 a.m. This profoundly spiritual masterpiece from director Carl Theodor Dreyer about a rural Danish family features beautiful cinematography. Best Day to DVR: Friday afternoon/evening. TCM will air some of the best movies from actor Tony Curtis and director Billy Wilder. This is a great week for . . .: Richard Burton fans. You've got Where Eagles Dare during the Memorial Day marathon, Who's Afraid of Virginia Woolf on Wednesday late night, and Sunday prime time features Cleopatra, the movie that launched his legendary romance with Elizabeth Taylor. 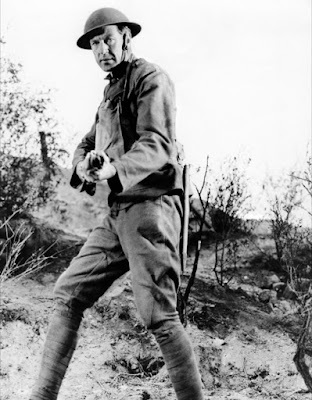 Gary Cooper in Sergeant York (1941). 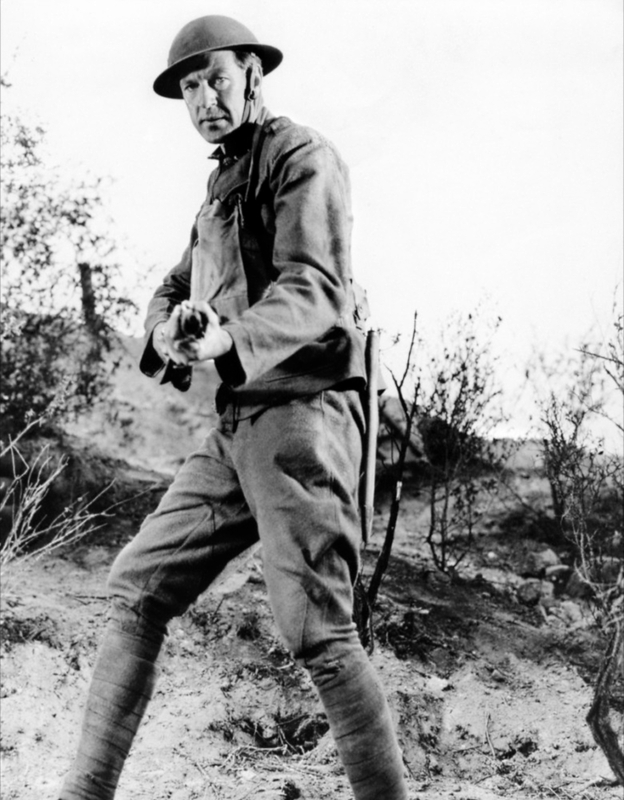 Daytime pick: Sergeant York (1941) at 9 a.m. Gary Cooper stars in this biopic about a Tennessee backwoodsman turned World War II hero. Primetime pick: Where Eagles Dare (1968) at 8 p.m. This riveting action-adventure movie about an Allied mission to free an American general from a mountaintop castle features great performances from Richard Burton and Clint Eastwood. Late night pick: Objective, Burma! (1945) at 3:30 a.m. An underrated World War II drama starring Errol Flynn as an American commander who leads a raid against a Japanese radar station. James Cagney in Yankee Doodle Dandy (1942). Daytime Theme: Movies about Las Vegas starting with the musical Painting the Clouds With Sunshine (1951) at 7:15 a.m. starring Virginia Mayo, Lucille Norman, and Virginia Gibson as three chorus girls who are on the hunt for husbands. Any trip to Vegas wouldn't be complete without the King of Rock 'n' Roll courtesy of the documentary, Elvis: That's the Way It Is (1970) at 1:45 p.m. and the Rat Pack courtesy of Ocean's Eleven (1960) at 5:45 p.m.
Primetime Lineup: Movies chosen by guest programmer Matthew Broderick. The actor chose a pre-code gangster film, Doorway to Hell (1930) at 8 p.m. that features James Cagney in his second film role as the best friend of a Chicago mob boss (Lew Ayres). 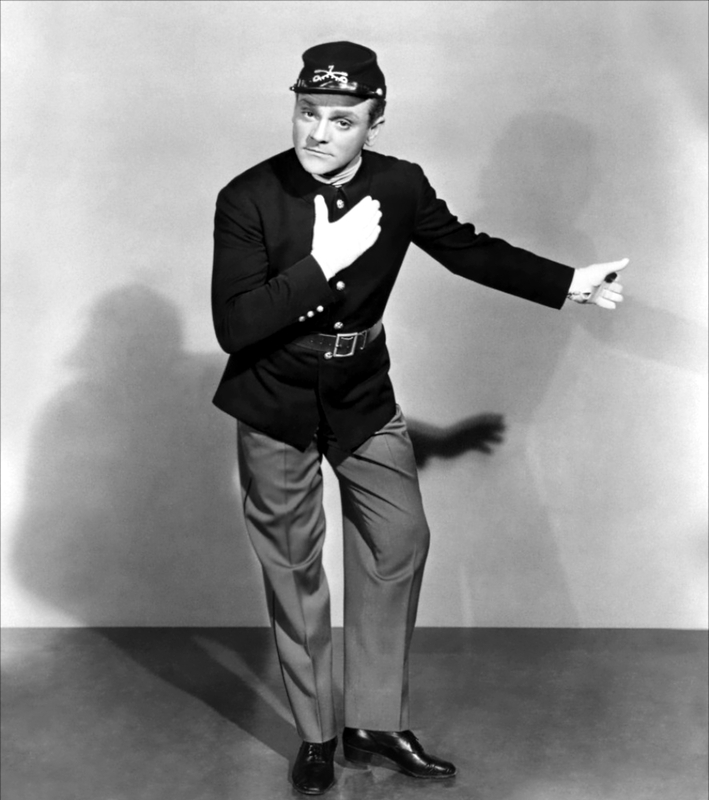 Broderick considers Cagney "one of the greatest film actors ever" according to Now Playing magazine. Broderick's second choice is the coming-of-age/cycling drama Breaking Away (1979) at 9:30 p.m.
Late Night Pick: Broderick continues the Cagney love with the actor's Academy Award-winning performance as Broadway showman George M. Cohan in Yankee Doodle Dandy (1942) at 1:30 a.m.
Daytime Theme: The morning begins with a double feature from noir staple Micheal O'Shea, including the Monogram Pictures cheapie Violence (1947) at 8:15 a.m. about a reporter (Nancy Coleman) who infiltrates a neo-Nazi group only to get amnesia at a crucial moment (don't you hate it when that happens?) 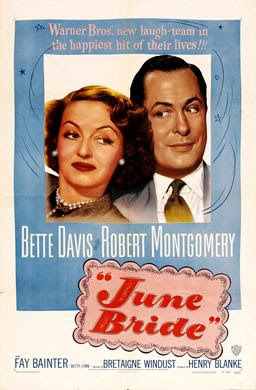 The afternoon is devoted to films directed by Bretaigne Windust, including two collaborations with Bette Davis, the rom-com, June Bride (1948) at 12:45 p.m. and the romantic drama Winter Meeting (1948) at 2:30 p.m.
Primetime Lineup: Every Wednesday and Thursday in June, TCM is turning the spotlight onto movies that made the journey from the stage to the screen. First up are landmark American dramas starting with Long Day's Journey Into Night (1962) at 8 p.m., an autobiographical play from Eugene O'Neill that stars Katharine Hepburn, Ralph Richardson, and Jason Robards. Late Night Pick: Director Mike Nichols adaptation of Edward Albee's marital drama Who's Afraid of Virginia Woolf? (1966) at 12:45 a.m. effectively ended movie censorship. 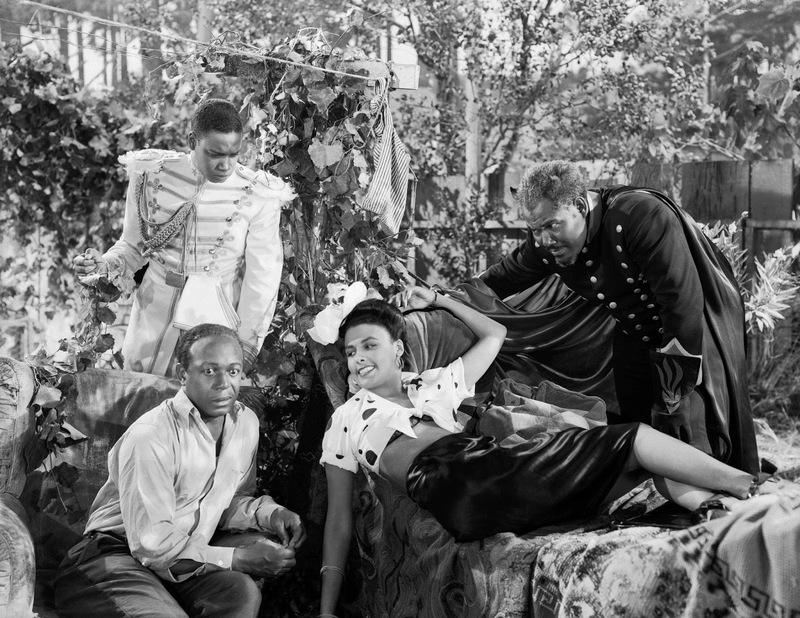 The cast of Cabin in the Sky (1943). Daytime theme: The morning begins with a classic from Japanese director Akira Kurosawa, The Lower Depths (1957) at 7:15 a.m. which is based on the play by Russian author Maxim Gorky. The rest of the daytime lineup is devoted to British actor Patrick McGoohan, including his fine performance in The Quare Fellow (1962) at 3:45 p.m., which is based on Irish author Brendan Behan's play about life inside a Dublin prison. Ice Station Zebra (1968) at 5:15 p.m. features McGoohan as a MI6 officer in a Cold War espionage film that co-stars Rock Hudson and Cleveland Browns legend Jim Brown. 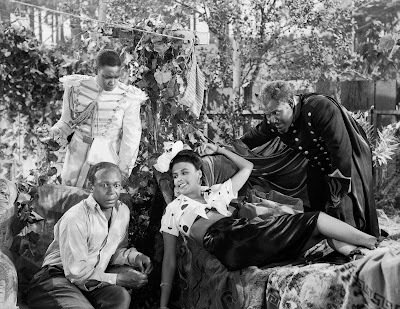 Primetime lineup: TCM continues its spotlight on stage to screen with two 1930's musicals, Show Boat (1936) at 8 p.m. featuring Paul Robeson's unforgettable version of "Ol' Man River" and the Jeanette MacDonald-Nelson Eddy vehicle Rose Marie (1936) at 10 p.m.
Late Night Pick: One of the best Broadway adaptations of the 1940's was the all-black musical Cabin in the Sky (1943) at 3:45 a.m. featuring performances from legends like Lena Horne and Ethel Waters. Daytime theme: The Broadway musicals continue in the morning with a rare showing of On Your Toes (1939) at 11 a.m., a jazz ballet from Richard Rodgers and Lorenz Hart that was choreographed by ballet legend George Balanchine. 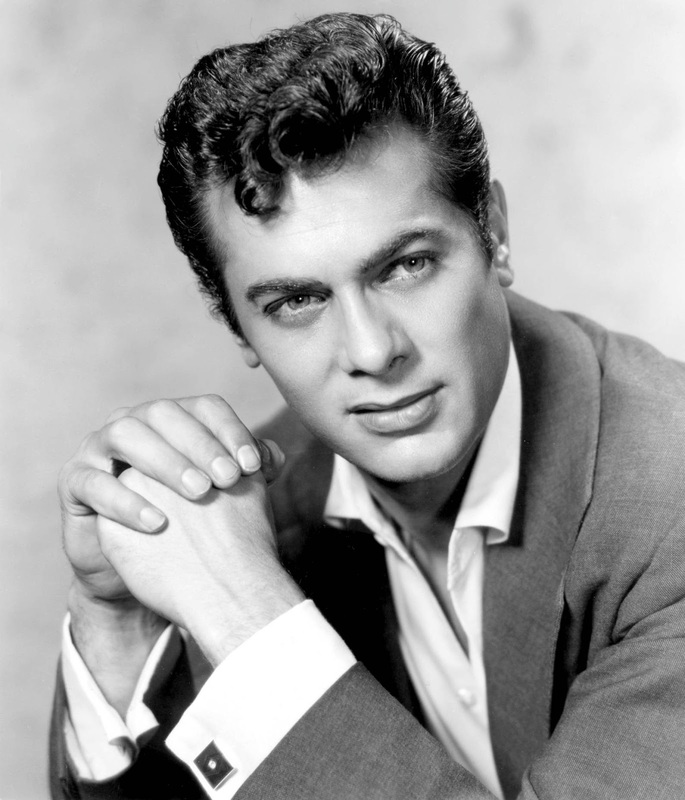 The afternoon is devoted to a birthday tribute to actor Tony Curtis, who was born Bernard Schwartz on June 3, 1925, in the Bronx. TCM is airing two of his best movies: Some Like It Hot (1959) at 2:30 p.m. and Spartacus (1960) at 4:45 p.m.
Primetime lineup: TCM is airing 17 of writer-director Billy Wilder's best movies each Friday in June, starting with his directorial debut, the Ginger Rogers-Ray Milland rom-com, The Major and the Minor (1942) at 8 p.m. followed by his second film as director, the World War II drama Five Graves to Cairo (1943) at 10 p.m., which features a fascinating performance from Erich von Stroheim as German Field Marshal Erwin Rommel. Late Night Pick: The Lost Weekend (1945) at 2 a.m. about an alcoholic writer (Milland), won several Oscars, including best picture and best director for Wilder. TCM's prime time lineup is all about actor Roy Scheider starting with two seventies police dramas, The French Connection (1971) at 8 p.m. and The Seven-Ups (1973) at 10 p.m., followed by 2010 (1984) at midnight, which is an adaptation of a novel from legendary science fiction author Arthur C. Clarke. The Sunday Night Feature celebrates the Queen of the Nile with Elizabeth Taylor's performance as the ancient Egyptian monarch in Cleopatra (1963) at 8 p.m.